External Affairs Minister Sushma Swaraj tonight condoled the priest's death and asked the Consulate General of India in Edinburgh to provide help. 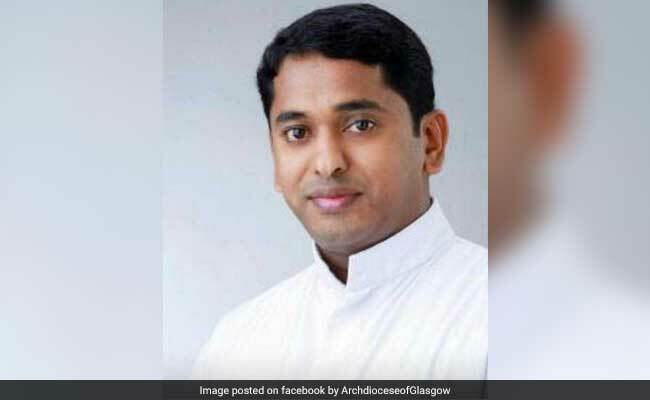 Thiruvananthapuram: A 33-year-old Keralite priest who was missing from last four days was found dead on a beach in Edinburgh in the United Kingdom, according to information received by Church sources in Thiruvananthapuram today. "I am sorry Father Martin Xavier has been found dead on the Dunbar beach. My heartfelt condolences. @IndiaInScotland will provide all help," she said in a tweet. A message about the death of Martin Xavier Vazhachira, belonging to the CMI Congregation, was received by the Carmelites of Mary Immaculate provincial in Thiruvananthapuram from the Archbishop of St Andrews in Edinburgh, on Saturday. The message said the priest, hailing from Pulinkunnu in Alappuzha district of Kerala, was found dead by Edinburgh police. Details would be available only after Tuesday, a CMI official told PTI. The priest served at St John the Baptist Church, Corstorphine in Edinburgh. Meanwhile, Opposition Leader in State Assembly Ramesh Chennithala asked External Affairs Minister Sushma Swaraj to take immediate steps to bring the priest's body to India. In a letter to Sushma Swaraj, Mr Chennithala said the body was found under mysterious circumstances on a beach and sought a comprehensive probe into his death.